Happy Monday! 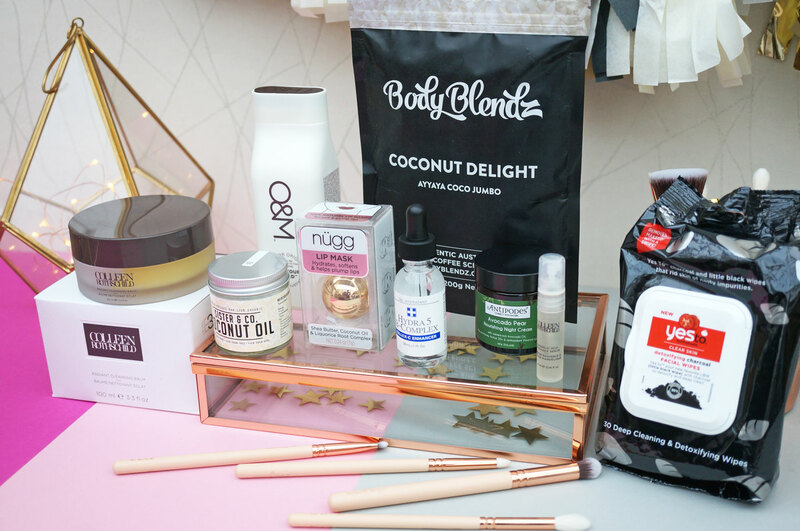 I hope you had a lovely weekend 🙂 Just before Christmas I received a rather lovely surprise package from Beauty Bay, which was filled with a selection of their skincare favourites for me to try out and share with you. 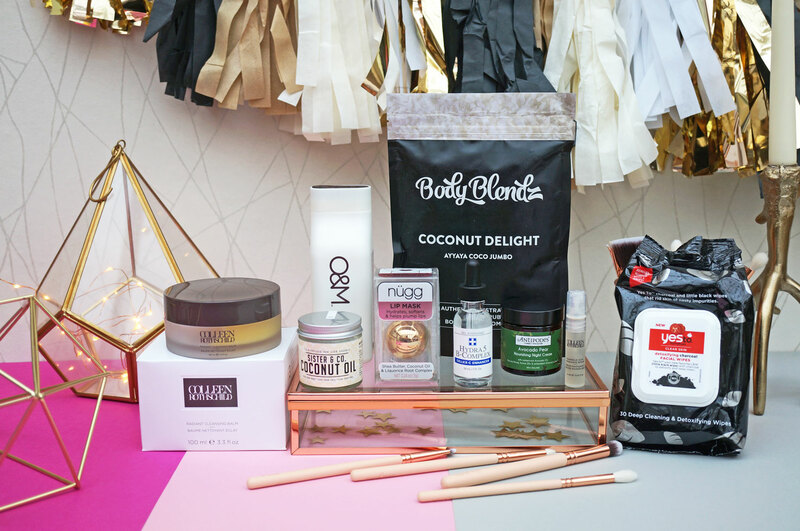 They included a fantastic range of brands covering varying price points – I hope you enjoy! 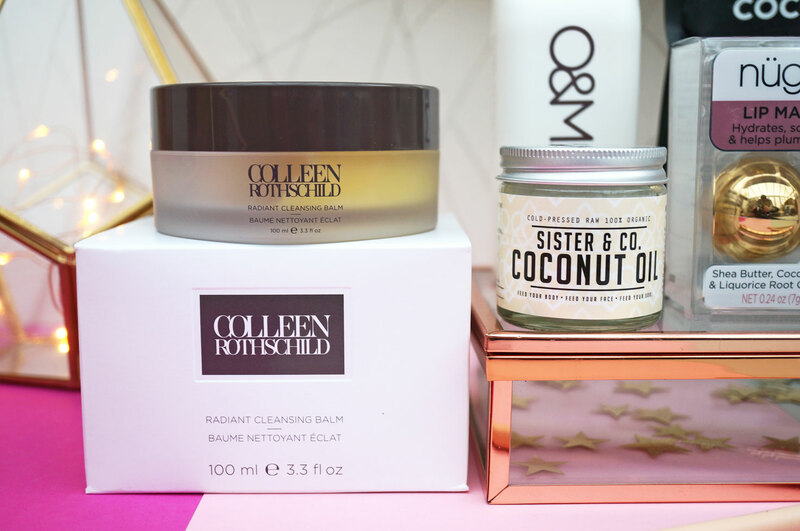 First up we have the Colleen Rothschild Radiant Cleansing Balm (£46.00) – Colleen Rothschild is a new brand to me, and this luxurious sounding cleansing balm promises to melt away daily impurities, waterproof makeup and decongests pores – which is exactly what my skin needs. The Radiant Cleansing Balm has a lovely aromatic scent which helps to calm and decongest, whilst soothing and rejuvenating the senses. It contains Lipexel to combat dehydration, Black Seed Oil for antioxidant protection and Moringa Oil to restore luminosity to the complexion. I’ve tried this a couple of times now and I have to say I love it! The balm is wonderfully thick and rich feeling, and it does a great job of removing makeup, leaving skin feeling cleansed and soft to the touch. 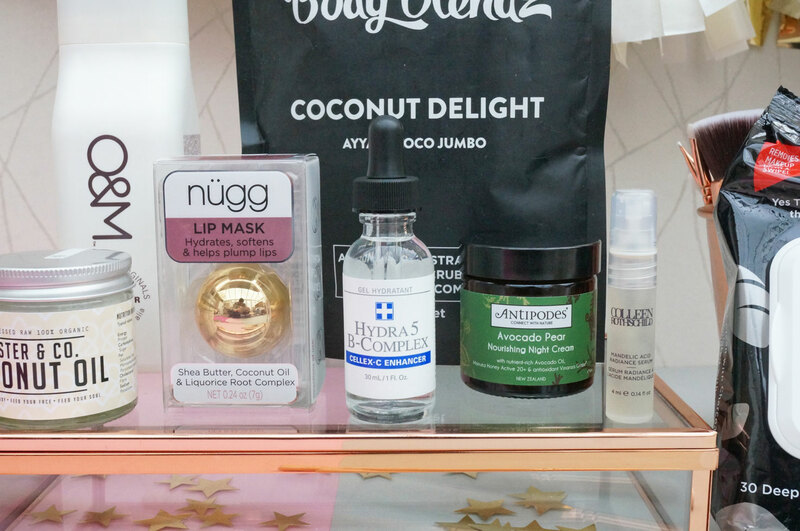 And the Sister & Co Cold Pressed Raw Coconut Oil (£6.95) – now I must admit I never quite got on the Coconut Oil bandwagon when the fad first started a couple of years ago. I know you can use coconut oil for pretty much anything – a moisturiser, makeup remover, an additive to cooking, you can spread it on your toast, or even use around the house for various things (just Google it and you’ll see there are endless uses for coconut oil). I have to say I love the fact that this is a single, simple, natural product, that offers so many varying uses. It’s naturally high in Vitamin E, and also contains Lauric and Capric Acid which provide anti-ageing, anti-fungal and anti-bacterial properties. I’ve started using this on some dry patches of skin on my arms and it really is working wonders! 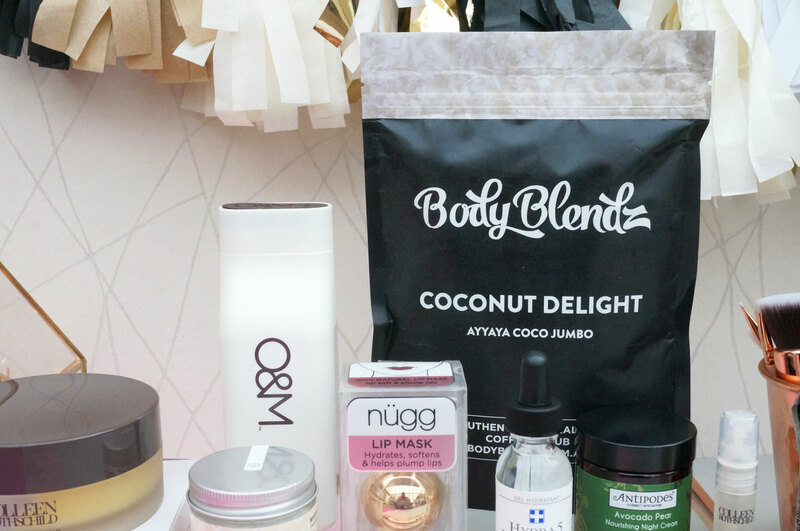 And while we’re talking about coconuts, I also have the Body Blendz Coconut Delight Scrub (£19.95) – it seems that body scrubs are having a bit of a moment right now, and this scrub from Body Blendz is perfect for those who suffer with cellulite, eczema, acne and dehydrated skin. I should mention that though this is named ‘Coconut Delight’ it’s actually a coffee based scrub, and smells like coffee – which really is very nice as I LOVE the smell of coffee. This scrub promises to nourish the epidermis without leaving a greasy residue, whilst lifting away traces of impurities and diminishing the signs of ageing. And I also have the Original Mineral 7 day Miracle Moisture Masque (£28.00) – ok so it’s not skincare, but it’s not every day I get to try out a £28 hair mask so I wanted to mention it! The O&M Day Mircale Moisture Masque is a deeply hydrating treatment mask designed for damaged and dehydrated hair. You’re advised to use this on a weekly basis to keep your locks silky smooth and feeling fabulous, and the formula contains Argan Oil to smooth away frizz and soften hair, Macadamia Oil to moisturise, and Natural Silica to give hair a glossy finish. Next we have the Nugg Lip Mask (£9.49) – now I’ve used this product before, so I already know it’s a winner! The Nugg Intense Lip Boosting Mask contains Shea Butter, Coconut Oil and Liquorice Root Complex to nourish, moisturise and plump the lips, whilst diminishing the appearance of fine lines, creases and wrinkles. If you suffer with dry lips like I do, I highly recommend you try this! And the Cellex-C Hydra 5 B Complex (£44.00) – this rather unassuming looking bottle has actually turned out to be one of my favourite products. The Cellex-C Hydra 5 B-Complex is an oil-free clear gel containing an extremely high percentage of hyaluronic acid, as well as Vitamin B-5 to instantly give your skin a silky smooth texture, and therefore providing a perfect base for make-up. This gel promised to give you noticeably smoother, more radiant looking skin within 3-6 weeks. I’ve been using this for around a month now and my skin is absolutely loving it, and I actually think I can physically see the difference it’s made. This is definitely a winner in my books. The award winning Antipodes Avocado Pear Nourishing Night Cream (£29.75) is a natural anti-ageing treatment which promises to resurrect the skin whilst you sleep. This Nourishing Night Cream stimulates collagen production by up to 92%, and replenishes the skin with essential Fatty Acids and naturally high contents of Vitamins A & C. It also contains active Manuka Honey to soothe the skin, and Vinanza Grape helps to neutralise free radical damage whilst improving elasticity and firmness and preventing moisture loss. And the Colleen Rothschild Mandelic Acid Radiance Serum (sample) – back to Colleen Rothschild, this complexion perfecting serum works to rid the skin’s surface of imperfections. It delivers an intense hit of naturally enhanced hydration which absorbs quickly into the epidermis releasing an array of skin perfecting benefits such as reduced fine lines, diminished dark spots and anti-inflamed acne. 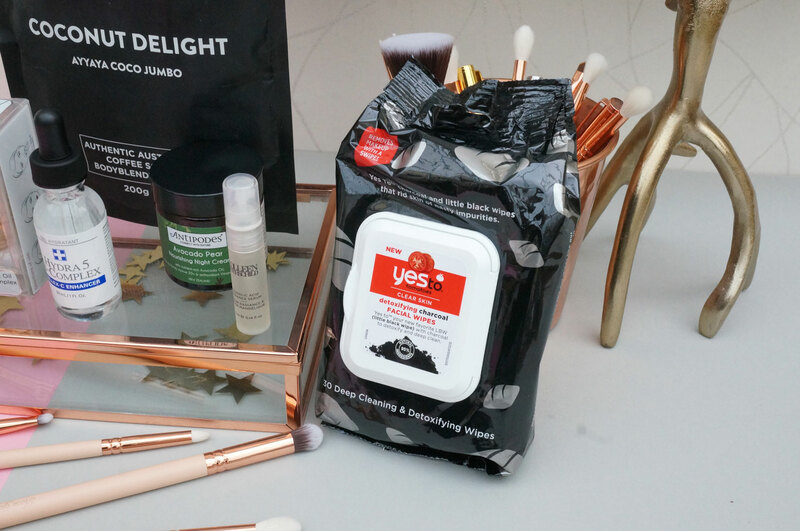 And lastly the Yes to Tomatos Detoxifying Charcoal Facial Wipes (£5.00) – now I know this isn’t going to go down well, but I am a fan of face wipes… I just love how handy they are. But I have to say, black charcoal wipes are a new one to me! These Detoxifying Charcoal Wipes are exclusive to Beauty Bay and promise to help rid the complexion of impurities as well as stubborn makeup and dirt, leaving you looking and feeling completely refreshed. The charcoal helps to remove impurities, and tomatoes offer antioxidant properties – and they really do work well, leaving skin feeling cleansed and fresh.